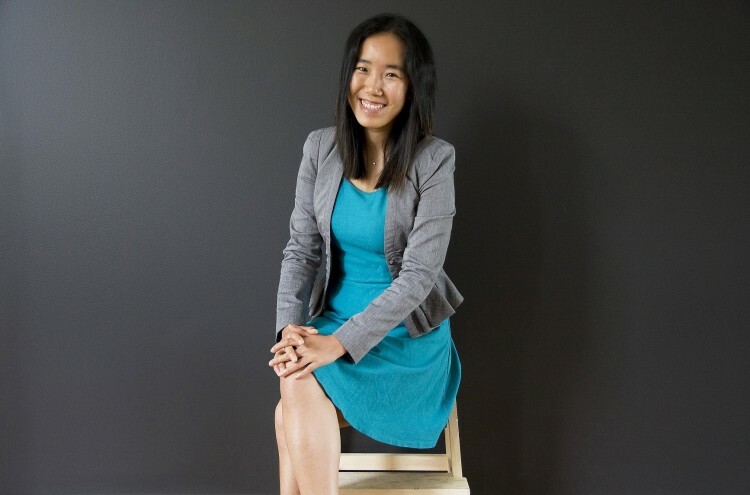 In this opinion piece, Digital Crew co-founder and director Ophenia Liang (pictured below) argues that the best way for Aussie companies to advertise to Chinese consumers is not through traditional channels, but through digital means. is the co-founder and director of Digital Crew, a multilingual digital agency based in Australia, Hong Kong and China specialising in cross-cultural marketing. Chinese Premier Li Keqiang’s visit to Australia this week is a clear message that China is a champion of free trade and wants to strengthen economic ties. The importance of this visit should not be lost on any Australian company wishing to cement business ties in China. However, competition is tough and the landscape in China is constantly shifting. So, if Australian ​companies want to get in front of Chinese consumers, don’t advertise in the traditional way. The first reason is because ubiquitous television and print media advertising in China over the past decade has led to a desensitised Chinese consumer. There’s just too much of it. The second is the limited advertising budgets for most Australian brands as budget constraints top the list of pressing issues. It’s hard to compete when 84 per cent of global brands plan to increase their marketing spend into China. The third reason is the Chinese consumer preference for mobile devices and online searches. This comes as no surprise when the size of the digital advertising revenue market in China is expected to be close to $44 billion in 2017, according to media investment group GroupM. The largest segment in digital is online search, at more than $30 billion. This trend is expected to continue well into the future, with search advertising remaining substantially larger than other segments such as video and banner ads, social media advertising, and classifieds. Mobile ad revenue is the big winner in China, with this form of advertising outranking desktop for the first time at about $23 billion to $21 billion. The mobile/desktop split is predicted to be $35/$20 billion in 2017 and $71/$17 billion by 2020. These figures and trends provide clues to Australian brands planning their business growth in China as to what is happening in advertising markets there. To put it simply, digital is outgrowing traditional advertising, and mobile is fast outranking desktop. Mobile devices and online searches are now the method of choice for most Chinese consumers. What does this all mean for Australian companies? They need to be aware of the consumer trends and behavior, and respond accordingly. This means focusing more on digital marketing and advertising, rather than traditional methods such as television and print media. Australian brands need to optimise websites for Baidu – China’s largest search engine – to increase visibility and attain better search engine rankings. They need to increase their brand presence and reach through mobile by using social media apps like WeChat, mobile video platforms and live streaming platforms like YouKu and iQiYi. Breaking into the Chinese market means Australian brands must find their own niche or uniqueness in this extremely crowded market. This is the only way to get noticed and win over Chinese customers, particularly with limited Australian marketing budgets. Also, brands need to be more conceptual in their thinking. Chinese customers want to know what your product stands for – its essence and value proposition. Is it Australian-made, a family business, boutique or organic? Bridestowe Lavender Estate in Tasmania won the hearts of Chinese girls born in the 1980s with its lavender bears. New Zealand’s EcoStore entered the Chinese market two years ago, positioning its products as pure, organic and baby-friendly. It is now enjoying success in a relatively short time. These examples show the importance of pinning down your unique brand value proposition before conducting any digital communication campaigns. Brands have to get smarter. Why invest heavily in TVC or other forms of offline advertising when Chinese digital platforms offer a more cost-effective approach for communicating with Chinese consumers and enhance brand awareness? Digital marketing channels are in a dramatic state of flux, and that is perfectly mirrored in China. For this reason, Australian brand marketers need to move much faster in response to market trends and current affairs. On-demand, real-time campaign assessment and review is essential for the Chinese market, where data analytics is key to unlocking customer value and campaign direction. Drafting a 12-month plan and not reviewing it for a year simply won’t work. You need quarterly or even monthly strategic reviews just to keep pace.